Over the past year, Tony Alsup, a trucker from Tennessee, has rescued shelter pets from hurricane zones in Texas, Florida, Puerto Rico and now South Carolina. Tony Alsup closed the door of his old yellow school bus then hit the gas, fleeing from the dark skies and strong winds that loomed offshore. In the bus seats behind him, confused passengers barked and meowed as they were driven to safety. To Alsup, these pets were “the leftovers." Somebody had to save them. Sixty-four dogs and cats are rescued from shelters in the path of Tropical Storm Florence and shipped on a school bus to a shelter in Alabama on Monday. Trucker Tony Alsup described the rescue as a calling. 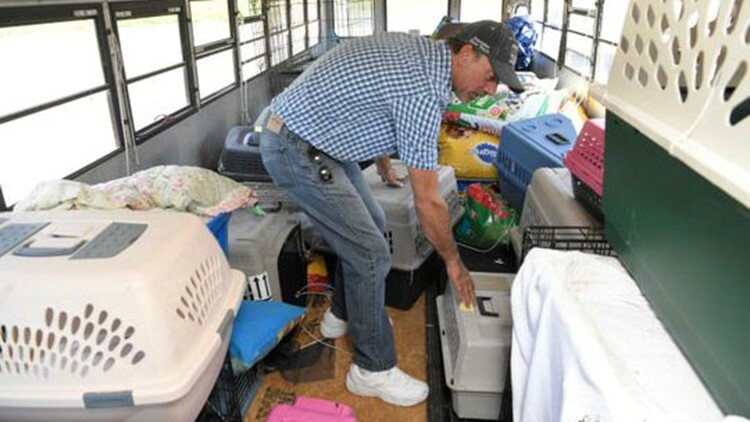 Alsiup, 51, a trucker from Greenback, Tennessee, drove into South Carolina last week to fill a school bus with dogs and cats from animal shelters in the path of Hurricane Florence, which was bearing down on the Carolina coast. Florence was downgraded to a tropical storm after it made landfall Friday, but strong winds, torrential rain and flood waters have devastated communities and killed at least 11 people. But on Monday, when the hurricane was still a few days from shore, Alsup drove his school bus to shelters in four South Carolina towns – North Myrtle Beach, Dylan, Georgetown and Orangeburg – loading up 53 dogs and 11 cats and busing them to an awaiting shelter in Foley, Alabama. From there, the pets will be spread to shelters throughout the country, ready to be adopted. This was not Alsup’s first rescue. Over the past year, he’s hauled shelter pets out of hurricane zones in Texas and Florida and flown to Puerto Rico to save even more. Rescues like these have become a calling, Alsup said, although they actually began with a misunderstanding. That was a year ago, as Hurricane Harvey was bearing down on Houston and Alsup saw a plea online for anyone who could help evaluate shelter pets out of the storm’s path. Alsup volunteered to transfer pets in his semi-truck. The shelters assumed he meant he could transfer dozens of dogs, while Alsup meant that he would carry a few in the cab of his truck. “You’ve got to be very careful what you say on social media man,” Alsup said chuckling, “but I’m a man of my word. If I give you my word, it’s gonna get done. 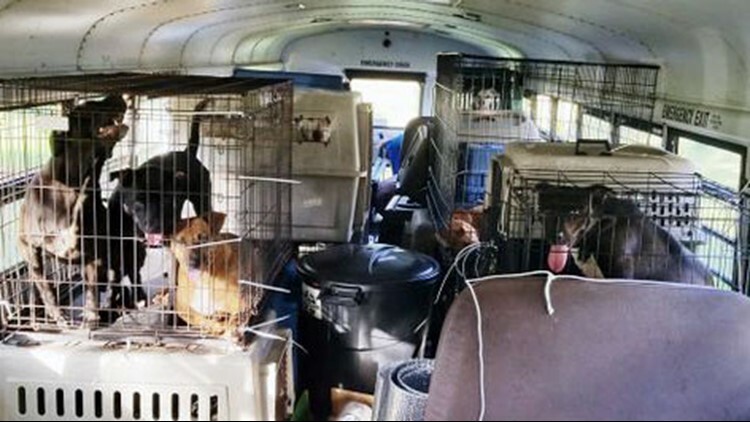 Animal crates fill East Tennessee resident and truck driver Tony Alsup's school bus that he purchased to rescue shelter animal. Soon, Alsup had spent $3,200 to buy an old school bus, then drove to Texas to fill it with pets for the first time. He’s been driving into hurricane zones ever since. Sometimes he hauls supplies in. He always hauls dogs out. Brett Kelman is a reporter for the USA TODAY Network. He can be reached at 615-259-8287 or at brett.kelman@tennessean.com. Follow him on Twitter at @brettkelman.